Looking for reading buddies? There is room for you at Bookbed. If you love books, then at some point in your life, you must've wanted to be a part of a book club—just so you have people to rave to about your current read. Look no further: Bookbed is the place for you. 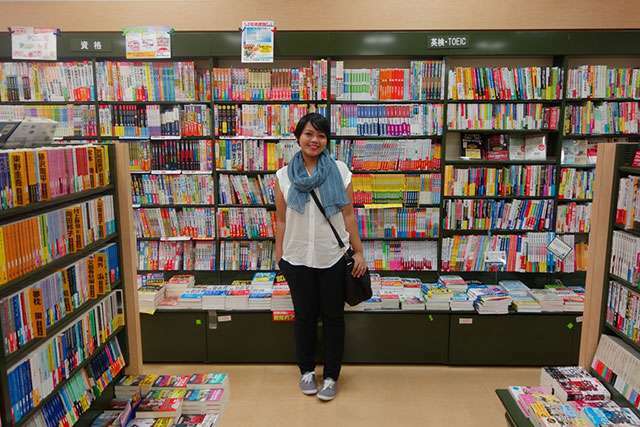 We sat down with its creator KB Meniado to find out what made her decide to start an online book club! Tell us how you started Bookbed. Fast forward to 2014: I attended a youth conference in late June. I sat there, listening to people my age (most of them younger) talk about how they were building communities around their passions, and it was like having this light bulb moment. I got so inspired that I sent emails to reader friends I’ve made over the years: “I have this idea, would you like to hear about it, it would mean a lot if you could be a part of this” kind of thing. Two days later, Bookbed was reborn! Aside from selling and consigning art and books, we launched the web magazine, and it's open to contributions from readers and creators. We also set up volunteer efforts related to building a #ReadingNation. I wasn’t alone anymore. Now I’m with readers and dreamers who love creating meaningful work, who enjoy connecting with others, and who crave to contribute to our arts and literature. It all became more than just a “fun thing to do”! Is managing Bookbed your full-time job? In my heart, it is! The thing that happens when you’re passionate about something is that you get caught up in it and you get crazy and strange ideas. There are days when all I think about is Bookbed, and other things in my life get derailed. The Bookbed Store is one of our means to sustain the community. We sell stationery and merch, plus consigned art and books from local artists and authors. The other one is through donation and sponsorship. 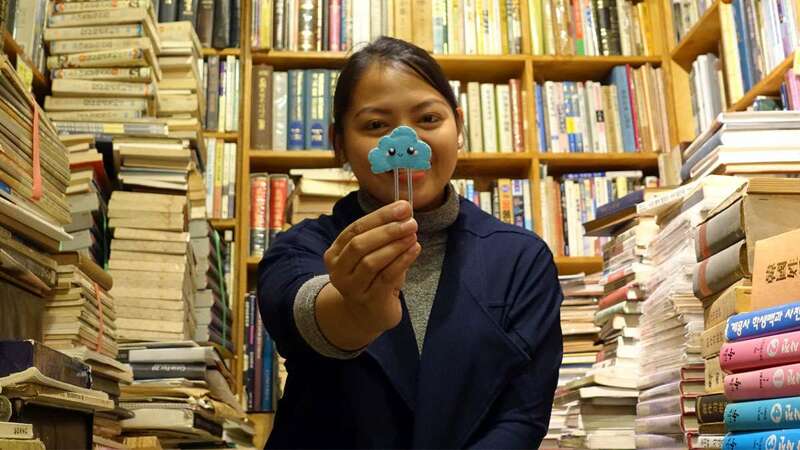 Since Bookbed is volunteer-based, it is (em)powered mainly by kind and passionate hearts. I am blessed to be surrounded by people and groups so committed to the goals of Bookbed that they help us pull resources to see projects and events succeed. Some of the best in the world! How big is the Bookbed community? We have a core team of six (which includes a reading monkey; check out Bibi Mangki here! ), and around 130 volunteers from across the Philippines and some countries abroad that contribute articles, participate in our projects and activities, and organize and attend events. If you include our partners, anonymous supporters, and other communities we have worked with (and we do because they are part of Bookbed), we’re probably at 200. I say ‘probably’ because the truth is, we don’t have a definite count. With our kind of community, people can come and go, and that is just the nature of it. I don’t mind how ‘big’ or ‘small’ the community is; what matters is how much of what we do means to people, no matter how many or few. I gift or recommend them a book I think they would like, and then bug them on what they think about it later on! But you know, when people tell me they don’t have time to read, I don’t believe it. We all have time to read—in fact, we read all the time: sign boards, menus, texts and documents, social media feeds, they all count. It’s just that, sometimes, the will is lacking! When you choose to work on your reading habit, there are only a few things more effective or successful than to devote yourself to it. It doesn’t matter if you’re a student, an employee, a business person, or a family person—you can start resolving this ‘problem’ by, you guessed it right, making time. For instance, set up a reading time and space and stick to it. If that doesn’t work, find possible gaps in your days/weeks and fill it by leafing or swiping through pages and stick to it. That said, always bring a book or a reading device with you, if possible. Anytime is a good time to read, as long as you want to read! What kind of events, activities, or projects do you hold to grow your community? We try to do different things to grow and at the same time diversify our community. Our website, for one, welcomes submissions of book reviews, features, and original creative work (art, poetry, comics, fiction). We also feature articles there about bookshelves, bookmark collections, film adaptations of books, makeup looks based on book covers, reading-related issues, writing/creating journeys, favorite fictional characters, and literary genre discussions, just to name a few. When it comes to providing platforms for aspiring writers, we organize activities such as #Booktungan, our collaborative story writing program, and #BookbedFictory, our fic-writing contest. In case anybody has an idea or proposal for editorial content, we welcome those as well! Many of the things we do come from the members of the community. As for face-to-face interactions, we organize blind book exchanges (we also have done this by mail), spoken word nights, and book drives, such as #AReaderEveryDay. Every quarter, we have #BookbedMeets, our Community Day which is sometimes themed (book talk, field trip, get-together) but always open to all interested. When we’re not coming up with our own, we attend local book events like fairs, press conferences, launches, and others. Oh, we do giveaways, too—art, books, stationery, merch. The best things in life are free, right? Anything else you want to say about Bookbed? We’re always looking for ways on making reading more ‘relatable’ and enjoyable to more people, and the way to do that is to allow as many passions into the community. Say you’re an athlete—what kind of books do you read to step up your game? If you’re a fashion designer—maybe you can create a lookbook based on characters’ outfits? Oh, you’re a cook? You must have a list of books that serves inspirations for your dishes! Whether you’re only starting to read more books or you’ve already completed your nth reading challenge, there is room for you at Bookbed. Come say hi! Accept our 2018 Reading Challenge! See monthly prompts here. Remember to tag your posts with #BookbedReads2018!